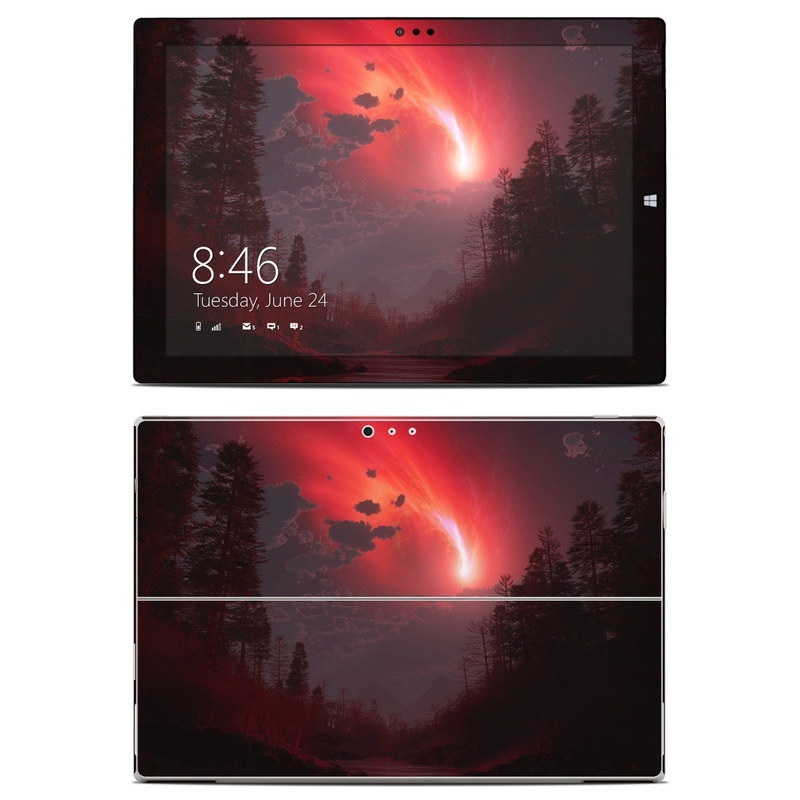 Remember, we offer over 1000 pieces of art as skins for your Microsoft Surface Pro 3. 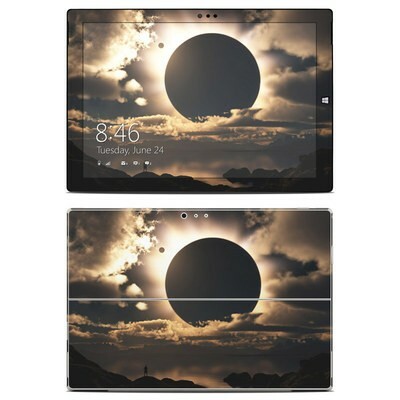 As much as I love how beautiful the design is and how gorgeous my beloved Surface Pro 3 looks now skinned; the back decal was not cut to perfect precision - there is some slight 1mm or so overhang at the sides and the rounded corners overhangs slightly as well. Overall, I am very happy with my purchase. 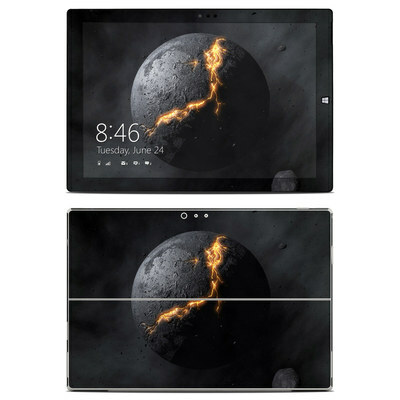 The skin is thick for good protection from scratches (which I started getting a lot of directly on my Surface tablet) and easy to handle. It is very sturdy and did not collapse in on itself while I was applying it to my surface. The side stickers take a little more patience to put on properly but once you get it it looks fantastic! I've gotten several compliments about how much more colourful my Surface is! 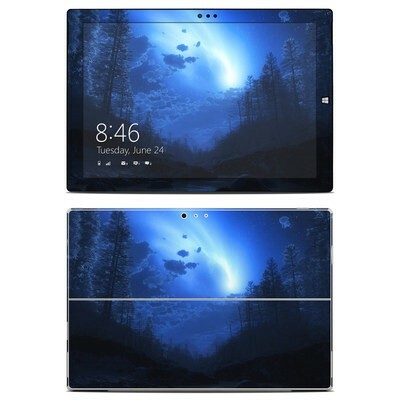 I bought this for my Surface Pro 3. I have the gray special edition type cover (I can't remember what it is called) and this goes so well with it. I have received many compliments on it at school. Definitely recommend. And as always, I love the ease of putting on Decalgirl's skins and how well they fit. Telling you this skin is beautiful would be the biggest understatement! It was so easy to apply, and it seriously looks so good! It fits the back of my Surface Pro perfectly, I just want to cover all of my technology in these skins... I'm not even kidding! Seriously.. Buy it... you wont regret it! I was a little skeptical of ordering this because I am not good at applying anything sticker related, and cannot stand anything with bubbles. However, the application was super easy, and was bubble-free. I ordered it in the matte finish, and am absolutely in love! I will definitely order more items in the future. This skin is absolutely gorgeous! I have it on my work-issued Surface Pro and it really makes my device stand out from everybody else's. I feel like it helps protect my tablet from scratches. It was easy to apply and looks great with the coordinating desktop wallpaper. Totally worth it! I like the art looked amazing on the surface pro... And the decal it self is easy the apply and done really well. 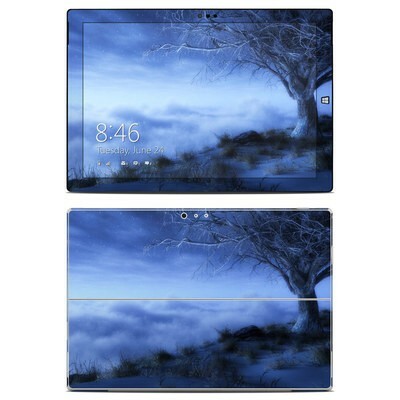 This is the second skin I've ordered with this design for my Surface. I've also ordered it for my iPhone before, too. The colors blend very well together. Love the way my tablet looks the colors are just perfect I got the non glossy one, and It's still amazing. I like the color scheme of this skin! Very colorful and vivid. This skin is gorgeous in person. It has dark deep tones, but still seems to catch attention. So great I'm ordering it a second time for a replacement after having the device replaced by Microsoft. The picture for this skin does not do it justice! It's like I have an entire new Surface. The colors are rich, vibrant, and beyond beautiful!! I can't say enough good things about it. This skin is awesome! It's made out of very good material and fit my Surface Pro 3 very well. Highly recommend! Very sleek. Matte finish looks perfect. It looks awesome on my surface pro and I've gotten so many compliments! This piece of art is gorgeous. It's musical and abstract. I love it. My surface pro 3 finally looks as awesome as it should. And this should keep the back from getting scratched like my surface 2. Got me through a L-O-N-G winter with spring looking flowers! I ordered the matte color and the colors are still very vibrant and figure print free!! Shipping is always fast with DecalGirl! !